When the EPFO has introduced the UAN portal to their subscribers the motive behind is to give much accessibility of the PF account such like some of the facilities are: Check your PF Balance in UAN Portal, Status of PF Transfer in UAN Portal, Download PF passbook and KYC upload. UAN portal is not a place where a member will regularly login so the possibility of losing the password is very high and in that case, some of the people don’t know what to do because they don’t know the whole process of changing the UAN Login password. Here we’ll cover three most common queries of EPFO members when they forgot or lost their password and they want to change or reset it while they have their mobile number register with UAN registered. Below is the steps that you can follow to change your mobile number with online mode. Make sure to follow our every single step that we build for our visitors, To make these steps much easier and user-friendly we build the steps with the images as well so you can do this process easily. 1.⎱ First open your browser and go to the official website of UAN . 3.⎱ You will now re-direct to a new window where you will see a form in which you have to fill in the UAN Number and Captcha, After that hit “Verify”. 4.⎱ Now the Mobile number which was mapped with your UAN will be shown after you completed the previous step & if you want to update/change your mobile number there will be an option with a text like: “Do you want to confirm this Mobile Number? (OTP will be sent to this mobile number, Click ‘No’ to change your mobile number)” Hit ‘No’ to change your mobile number. 6.⎱ After filling all details correctly hit the Verify button place right after the Document Number section. 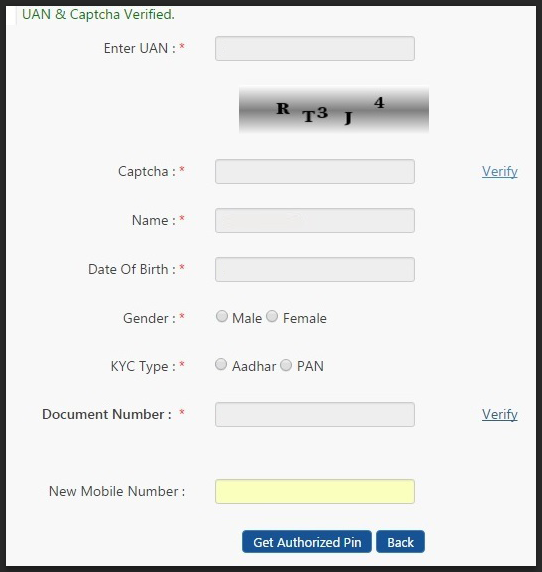 8.⎱ Now an Authorized PIN will be sent by the EPFO onto your New Mobile Number so it will be registered. If the members can easily change their password online, there is another option that you can choose and that is the offline procedure in which you can change your mobile number. So, if you forgot or lost your previous registered mobile number you can register your new mobile number again using the offline mode after that you will able to reset your UAN password. STEP 1 – The whole process of registering the new mobile number starts with the employer where an employee should have contacted his/her employer. STEP 2 – One should have to write an application onto the letterhead of the employer about the issue of registration of new mobile number. STEP 3 – After writing the successfully mention problem onto the application, Go to your employer and make it attest. STEP 4 – Now go to your nearest regional PF Office and submit your attested application. NOTE : This process can be done by the speed post as well. All this process will take atleast 15 days or less, After that you’ll get an SMS by EPFO related to your request of new mobile number registration. 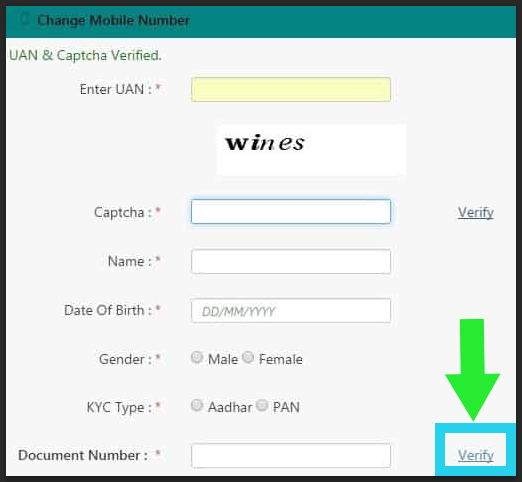 In the previous sections, we have told you how you can re-change or reset your mobile number if your mobile number changed or lost, Till now we’ve covered the whole process of it online as well as offline But now we will cover the steps on you can change your password if your mobile number is not changed. ▶ Go to the official portal of UAN or click here . ▶ Now on the new window complete the Captcha and enter your UAN and hit “Verify” Button. ▶ Now if you receive the OTP, you will see a message onto a screen such like “OTP is successfully sent”. In some cases, the website cannot send the OTP and the reason behind this is nothing but Heavy Traffic. So, if you see the screen like we shown in the image down below. Kindly try the steps after some time. ▶ When the OTP will be sent successfully you will get it onto your mobile number which is registered with the UAN. Dear, Mr/Mrs. _____ . Your OTP corresponding to OTP id 3000 is 1982. Enter this pin to set a new password for your account. ▶ Now the visitors have to enter the OTP Pin at the “Enter Authorized Pin” section. ▶ Now think and enter your new password. KEEP THIS IN MIND ! The Password must be in maximum 20 characters & minimum 7 characters. Contains 4 alphabets and 2 digits, 1 special character. At least one character out of 4 alphabets should be Capital. ▶ Now confirm the password and then hit the “Submit” button. After this, you’ll gonna see a new window showing you the confirm section that Password has successfully changed. How to Reset and Change UAN password ? Iam the PF holder having UAN number 100397875624. I forgot my login password and my mobile number which has registered at EPF has been changed. Kindly guide me how to get my complete access. Yes, you can’t access your profile if your UAN password is lost or forgotten. 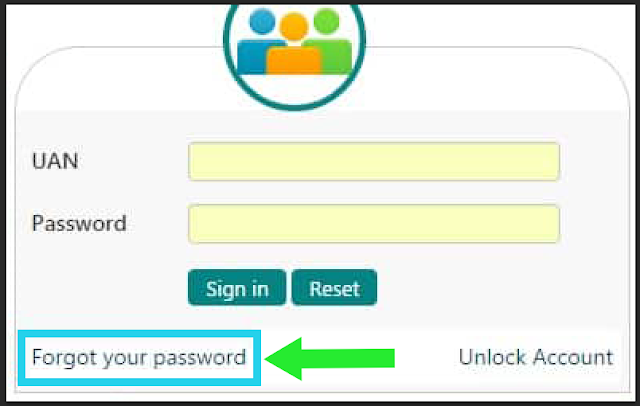 Fortunately, You are on the dedicated page where we have covered that “How To Update Forgotten UAN Login Password”. You just need to follow the steps that we have given in this article. If you have any other queries, please feel free to ask. We’ll happy to help our visitors. Many of the PF members are getting this error nowadays, If you want to remove this error, We recommend you to look at our article on “HOW TO UPDATE MISMATCHED DETAILS IN EPF ACCOUNT”. I have Lost Mobile number with UAN password. Is there any process to change or update the same? so please suggest me how can i update my name in uan as correct ,as im not editiable by using modify basic details option in UAN section , because of your addaar is already verified, your are not editible. I’ve followed your steps and it word fine for me now can you please tell me how can i change my mobile number in EPF account? Just follow the information that we’ve provided on this page.